As 2013 came to an end, while doing some reflections on my accomplishments through the year, my book blog came to mind. But a question nagged at me- ‘Has my book blog been successful in the short time it has been in existence?’ So I got to thinking, or rather, asking myself: What does it take to have a successful book blog? You have a blog but who’s following it? Is anyone reading at all? Most likely, important factors here would be number of followers and number of page views. I know what you’re thinking- ugh stats! Numbers are seriously complicated- they increase, they decrease. Nonetheless, they’re a measure of book blog success. Inaccurate at times, but pretty valuable too. Maybe it follows that if you have a large readership, you’re a highly-esteemed blogger. I wouldn’t know. Still, big numbers don’t always weigh much, especially when they’re bogus. As a book blogger, I think it’s pretty major when you’re recognized- not just by readers, but also by authors and publishers. Distinguished and respected book bloggers are indispensable and most of them have been doing their thing for a long time. They’re the ones who get all the gorgeous ARCs but come on, they’re veterans- they deserve it! What do people say about your book blog? This one, I think, I can relate to a bit. I don’t have astounding followers but I do know I have loyal readers and they give me feedback. Getting tweets or messages about how people like my blog’s look or my most recent review is a success in itself I think. Maybe it’s a minuscule achievement (esteemed bloggers probably get them all the time) but the fact that people are saying nice things about your book blog feels like a victory. As a book blogger, the best feeling I think, is when you get comments. Don’t tell me you don’t love them. It’s lovely thinking that someone read your blog and just had to say something about your post.That what you’ve written gave rise to some thoughts in them. Comments are an indication that people want to socialize with you, that they want to get to know you and interact with you. Having good interaction leads to a good relationship with your readers and doesn’t that mean that you’ve done a great job as a blogger? Soooo.. was my blog a success yet? Probably not much. Nonetheless, I’m happy about my blog and that’s all I can ask for right now. 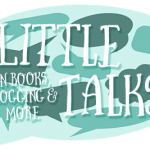 What does it take to have a ‘successful book blog’ for you? Should success be objective to the components mentioned above or should they be subjective to how we book bloggers feel about our blog? Let’s talk! I obsessed over numbers for a while, panicking when I had 0 views on a certain date, while getting a steady stream on others. I’ve since told myself that my blog will be as successful as I want it to be, as long as I enjoy what I’m doing, that’s all that matters. And I think you’re on to something with the loyal followers. Even if I’ve only got one persistent visitor who comments or retweets, or whatever, it really makes my day, for sure! Speaking of, I’m real grateful for your comment! *hugs* Thank you! What is successful? I think it depends on your personal opinion. I feel successful, because I love blogging and all the comments I get make me happy. I don’t think there is a way to say: If you get X amount of comments you are successful or if you have X pageviews you are a big blog. So yes, it’s subjective to how the blogger feels in my eyes! For me comments are the best. Whenever I receive this email notification that someone left a comment on my blog, I get this giddy feeling because someone actually read my post! So, to me, meaningful interaction is the most important thing I’m looking for, with positive feedback as a close second… and everything else is secondary. I know what you mean! Stats are pretty valuable when we request ARC, yes? I love the emphasis on meaningful interaction. I should have been more specific! I think you make some great points! The numbers do fascinate me a bit, but I do love the interaction and comments the most. They make you feel like someone actually reads the blog. And, you know, isn’t just there to look at the pictures. I’d hardly say that I have a successful blog, but I’m having a lot of fun and that’s all that matters. You, on the other hand, may not be one of the veteran’s out there, but you totally have a blog that’s going to be really successful! At least in my opinion. It’s gorgeous and you write lovely posts. Can I squish and hug you? Seriously, THANK YOU, Kelsey! <3 Your blog's going to be successful too for sure! I used to think a lot about number s- pageviews, number of followers and all that, but now, what’s the most important thing to me is that I enjoy what I’m doing, and that I get to talk with other people who enjoy reading. In the beginning, I used to stress a lot about stats. I don’t now as much because it’s so much easier to not stress and just see where it goes. Numbers only provide a one-sided relationships while comments provide much more. I think success and the definition of it varies, depending on the person but for me, it’s continuing to blog and have interactions with other people. I didn’t have any aspirations or goals when I started a blog but now, it’s more of “continue to have discussions/chats with people about books” than anything. I guess stats matter because they do count for evidence that a blog is generating traffic, so no matter how much we try not to care, we’ll always be affected somehow. Just some people more, some people less. But yes, I measure my success in terms of comments. As long as one person feels compelled to comment on a post of mine, I’m satisfied because this means at least one other person out there was interested in something that mattered to me. That’s one person more than in my offline social circle which’s partly why I blog in the first place. I definitely used to look at stats more, especially because I need them when requesting a book, but lately, I’ve come to realize that there are more important things to me than stats. Of course, readership and interaction are always important to me, and seeing comments and people’s thoughts on my posts always make me much happier than looking at stats. Sometimes, it’ll be a good blogger friend that comments, and that feels nice too. But I was so happy the other day when somebody I don’t think I’ve talked to before commented on one of my blog posts. It’s so amazing to think that someone out there enjoys my posts and likes my blog. I don’t try to focus on the numbers too much anymore, I used to be pulled into the numbers game but it just stressed me out and made me sad. Now I just try to focus on having fun with my blog, sharing my bookish love with the world, and being grateful for the handful of close blogger friends I have made. Of Course I still love it when I get a new follower on my blog, but I try not to focus just on the that/the numbers anymore. As long as you are happy about your blog that is all that matters! Happy blogging/reading! Discussion posts such as this is also a key essential to have a successful book blog, I think, I may not have or own a book blog myself but as one of your readers, it’s safe to say that your posts are very insightful, they always attract readers (like me) to share their thoughts, from little talks to book gushings and everything in between. For that question you put in the end of your post, I can only say that it depends on person to person, and I don’t really have an answer for it. I just don’t, because I don’t think of what makes a blogger “successful.” Sometimes, I see a blog, and I just get the sense that they are successful, and that’s it. And hey, new design! I liked the watercolor or artful tear or the old banner because I’m really into that, but this one still looks as gorgeous. It’s certainly a big break away from the old design. The only problem is, the banner and the button don’t match. And going back to the topic, I guess I can’t really say I have a successful blog, but I’m okay with that. I like having a small circle of people who check and comment and are familiar. I can’t deal with a barrage of comments. I can completely understand where you’re coming from. I’ve been blogging for a short amount of time, and getting comments on my posts makes my day, it’s lovely that not only have people read what I have to say, but they have something to say too, and it’s a great feeling. I also agree that thinking about numbers can get to you, I get a lot of fake visits, but in the end, I remember that my blog is for me, and if people want to visit and remember me, then that is great, but a successful blog to me is one that makes me happy. I like looking at my stats because I’m a numbers person. I like math and I was a finance major in college. Numbers matter in my job too, even though I’m no longer working in the financial industry. But I know I’m never going to be a big blogger and I’m okay with that. I think it would take a lot more time and work than I’m willing to put into blogging to be wildly successful as far as having a larger following. That’s not my goal. My goal is just to have fun. When it stops being fun, that’s when I move on to something else. I think that, at the end of the day, being successful at blogging is something personal. I consider myself successful it if makes me happy and I have fun doing it! A successful blog is tough. I mean.. am I successful? I guess in my eyes. I am just now getting regular readers I think and I’ve been blogging a long time. I look at stats every now and then (in fact your post inspired me to go look at google analytics. But mostly I love comments. They are what makes blogging fun. Really… like this post it has people thinking and wanting to talk about it. That is what makes book blogging!! While a blog’s successfulness from an objective viewpoint is important to certain parties — say, publishers who give out ARCs — personally I think the most important perspective is yours. The stats all mean something, yes, but in the long run, are you happy with your blog? Do you enjoy creating new content? 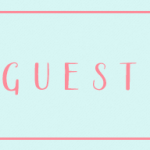 Do you enjoy interacting with other bloggers? Does it still feel like a hobby and not a job? If you answer yes to these questions, I think that’s evidence of a successful book blog. Book blogging is a hobby, for most, and I personally don’t think it needs to be looked at from the same perspective as a commercial endeavour. Once you start playing the numbers game, that’s when it’s so easy to start fretting and getting stress and making it feel like a chore. Honestly, I think as long as you’re happy with what you’re doing, that will come across in your writing and interaction on social media, which will bring in a bigger readership. Numbers never really interested me much. It’s not because I don’t want people to read my blog, but I guess it’s just a realistic outlook on things. I know I run a very small blog, and I’m not a very outspoken commenter. I read a lot of blogs, but I never have huge things to add to the discussion or whatever, so I stay hidden in the shadows. And that’s not a good place to be if you want to get the stats up. But I just blog for me, and everyone who ends up on my blog is just a huge bonus. Thanks for this. I am pretty new to book blogging in any serious way and have been scouring the web for any all all advice on how to get started. This post is indespensible. I personally want to blog because I love books and very few of my RL friends even read, let alone as avidly as I do. I want to be a part of a community who would likely run back into a burning building for that hardcover bestseller they love. But I do still want to do it properly and actually have people reading and commenting or its kinda like talking to myself. I do too much of that offline lol. 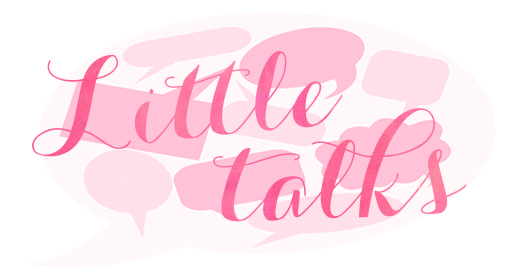 I started my book blog late last year and I have to admit that I do stalk my stats. I find it fascinating to see where in the world people are reading from. I don’t worry about comments as I haven’t written many discussion posts, but I think I will. The things that have made me feel successful are getting a mention in the Acknowledgments of a book by an author I love and when authors started seeking me out for reviews instead of me requesting books.